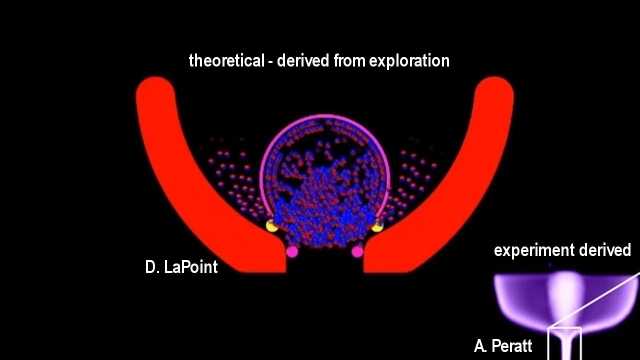 One of the modern supporters of the plasma theory concept, Anthony Peratt, as director of experiments at the Los Alamos National Laboratory in the USA, conducted a series of experiments to discover how the magnetic effect of moving electric particles shape the geometry of the resulting plasma-flow structures. 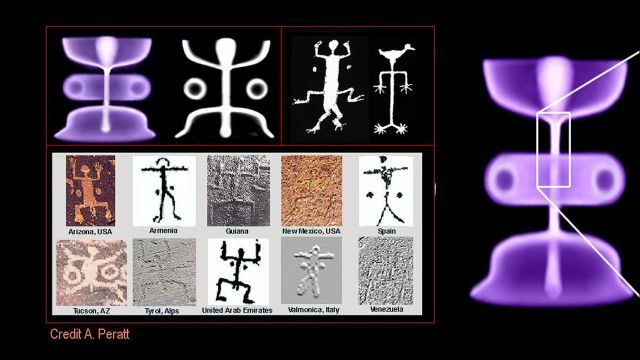 He noted a surprising similarity of the experimentally derived plasma shapes, with archetypal drawings from widely dispersed areas of the world. 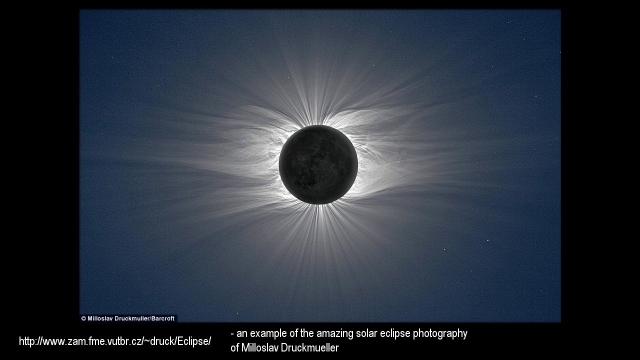 He suggests that similar plasma-flow structures may have been visible in ancient skies. We still have some large-scale plasma-flow features visibly apparent in our galaxy. 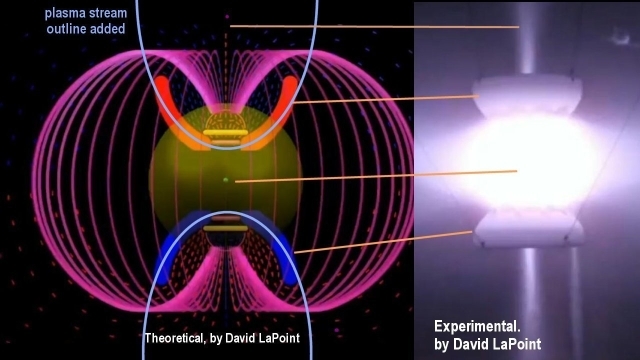 Another researcher, David LaPoint, devised a series of static experiments that replicate the bowel type magnetic structures that naturally form in plasma flow dynamics. 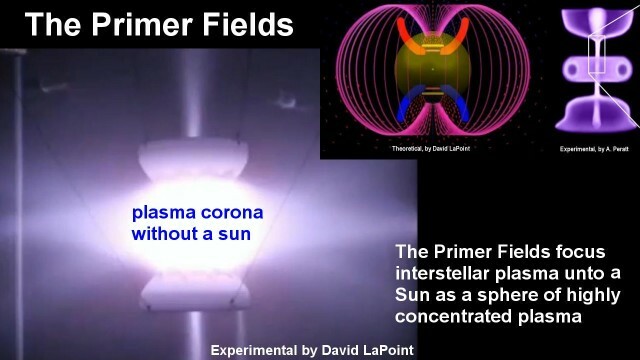 With his experiments he was able to replicate the process of interstellar plasma streams becoming electro-magnetically concentrated around a sun, by the action of what he calls, the Primer Fields. 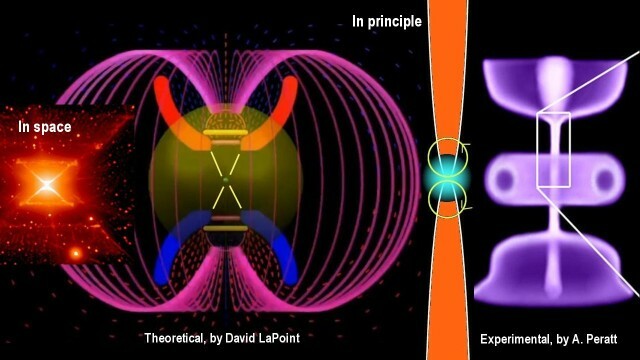 It has long been recognized that electric currents flowing in the same direction attract each other magnetically, by what is called the Lorentz Force. Free flowing plasma in space becomes pinched thereby to ever tighter confinement until a point is reached when the magnetic fields tangle up and cause an opening for the concentrated plasma to flow out. 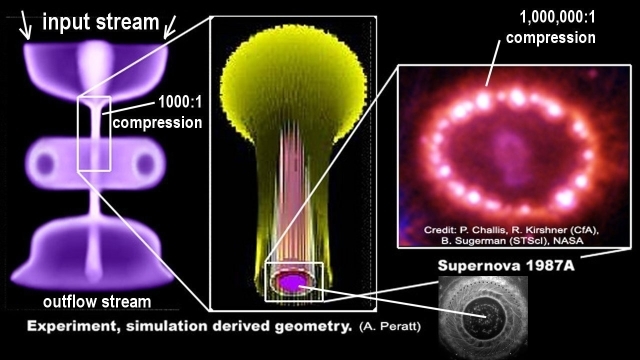 This is the process that transports plasma to a sun. 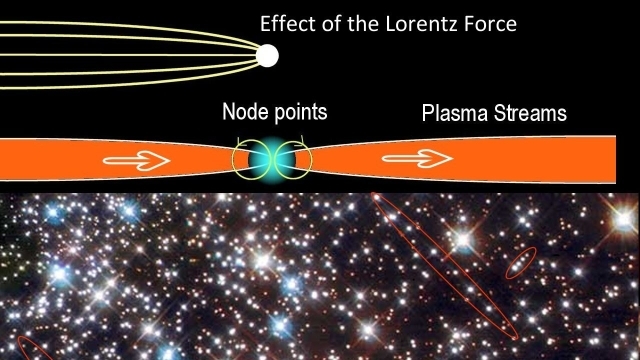 Long plasma streams pervade interstellar space that link the stars together into chains. There is always an inflow and outflow occurring at the stage of a solar system, which consumes only a portion of the plasma stream that becomes afterwards renewed. 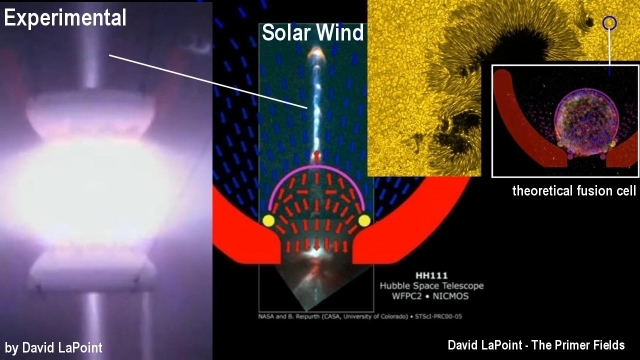 It has been experimentally recognized that at the node point, the point of disruption of the plasma flow, the plasma stream is curled backwards and become magnetically concentrated under a confinement dome, from which a portion of highly concentrated plasma flows out, typically onto a Sun. 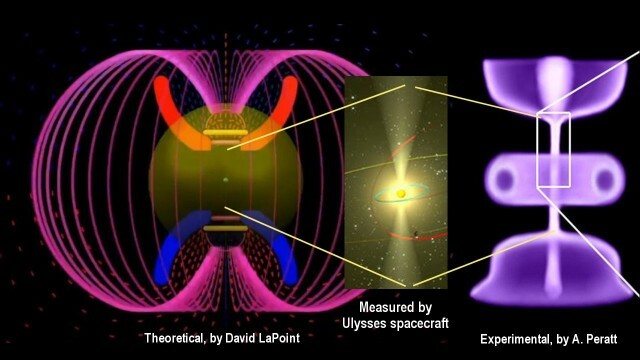 We see these features in both the static experiments by David LaPoint and in the dynamics experiments by Anthony Peratt conducted that Los Alamos National Laboratory, and we see it reflected in the space around the Sun as a void in the solar wind, that the Ulysses spacecraft has detected. 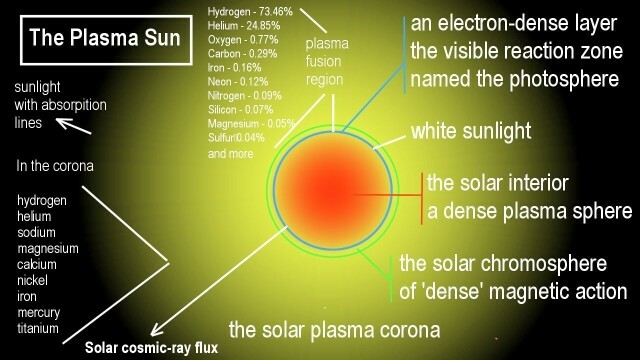 The plasma focused through the Primer Fields creates the plasma sphere that surround the Sun and interacts with its electron-rich layer where the plasma-fusion takes place in which atomic forms are synthesized, from which light is emitted. 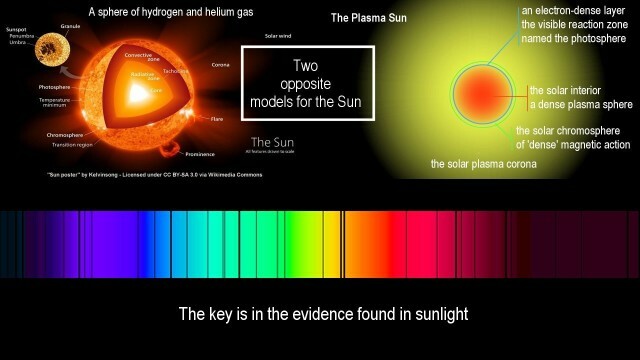 A part of the evidence that the plasma-Sun is very real, is seen in the sunlight that flows out from it. 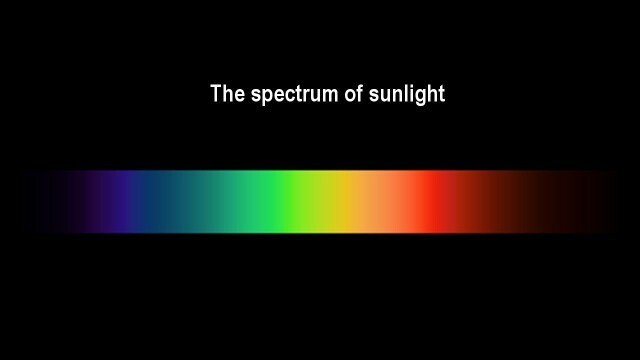 We see the sunlight as a seamless band of color which cannot originate from a hydrogen gas Sun. 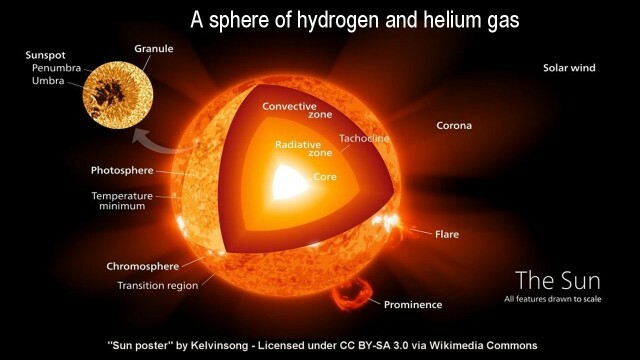 It can only originate from plasma-fusion at the surface of a plasma Sun. No other source is possible. 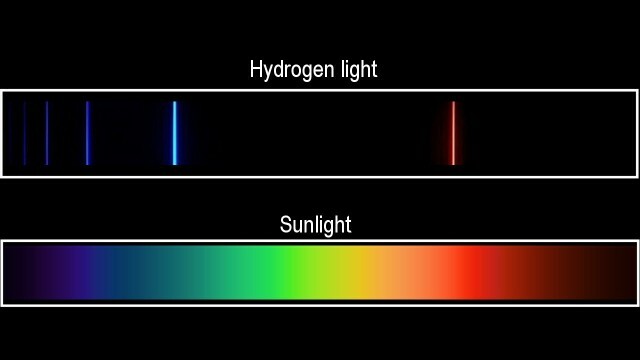 If the Sun was a sphere of hydrogen gas, we would see a totally different spectrum of light, which would be typical for that emitted from hydrogen atoms. Light is a phenomenon that is emitted by atomic elements that have energy impressed upon it. 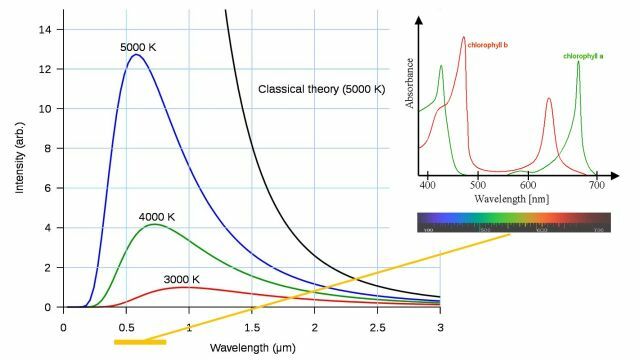 Light from different elements is emitted with different spectra. 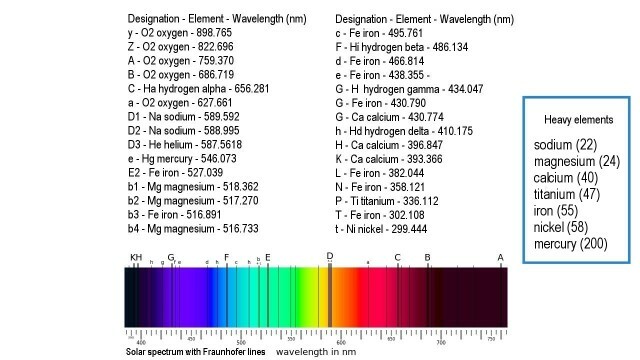 It takes a rich mix of a large number of different atomic elements with different emission spectra to create the seamless band of color that we see in the sunlight. 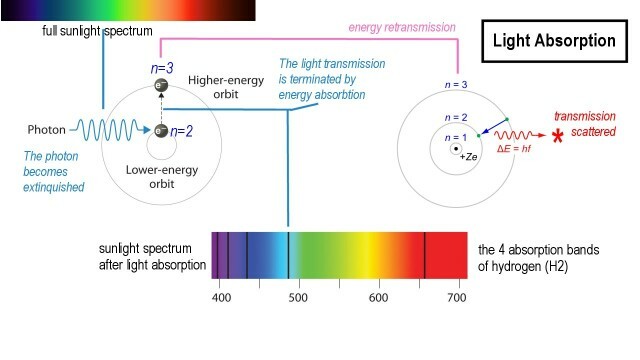 But whenever light encounters atoms in its path, the photon energy of the light is absorbed, depending on the characteristics of the specific atomic elements. The absorbed energy is retransmitted, but in a scattered fashion. The end-result is that voids appear in the seamless band of sunlight. A large number of voids have been detected in the light from the Sun. Their presence indicates that the plasma sphere surrounding the Sun is pervaded with a wide range of atomic elements. These elements would not be present as densely around the Sun, if they were not synthesized by the Sun itself. Thus the sunlight proves that the Sun is a plasma Sun, which renders it a variable Sun. 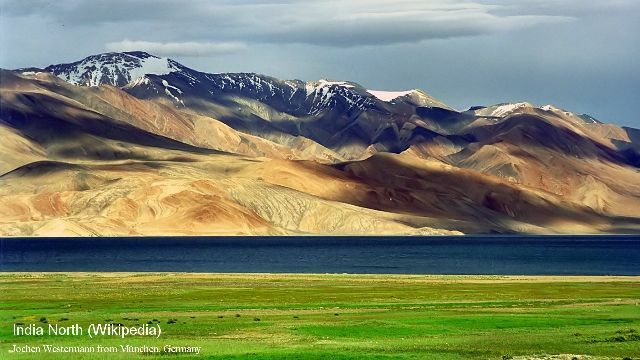 If this wasn't the case, we wouldn't be able to see the brilliantly colourful landscapes that we see. The fact that we see color-rich landscapes, proves that the Sun cannot be a sphere of hydrogen gas, powered from the inside, if such a process was actually possible, but is a plasma Sun that is externally powered. 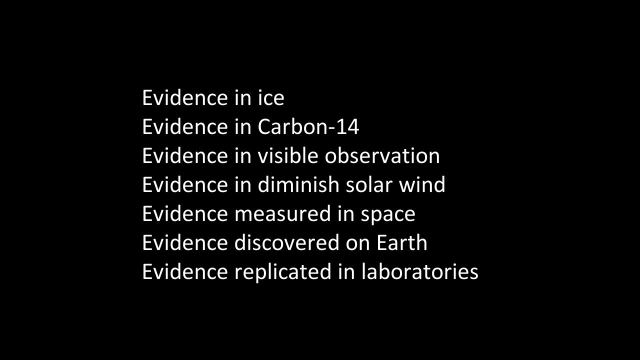 It also proves that the Sun, by being externally powered, has the potential to cause an Ice Age with a rapid transition leading into it. 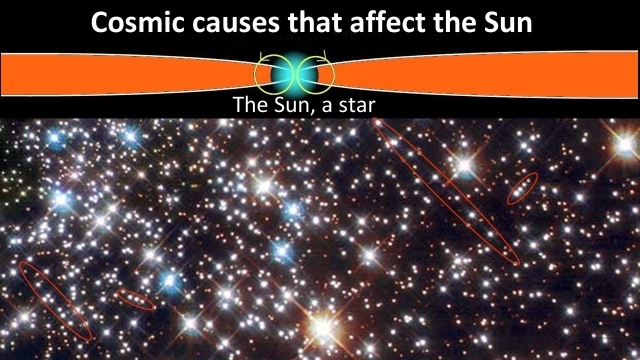 This also means that Ice Ages are not caused by the Sun itself, but by interstellar causes. An externally powered Sun is obviously not its own master. It is subject to change with external condition, such as electric resonance effects in interstellar plasma streams. While we cannot see plasma itself, because plasma is invisible, we are able to detect the end-effects, and detect the changing of the effects. The solar wind is faintly visible in some cases by its plasma mix with atomic elements. 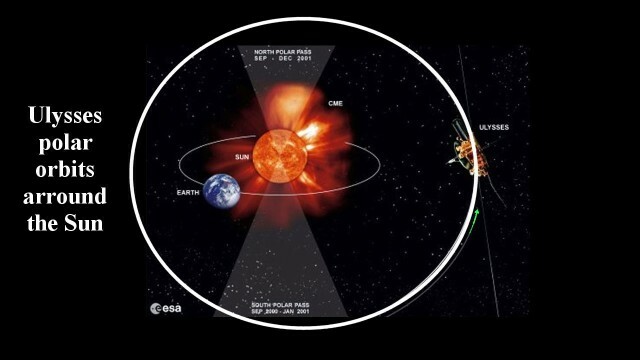 The solar wind is escaping plasma that is electromagnetically accelerated away from the Sun, against the force of gravity, to the high velocity of up to 800 Km/sec. The solar wind originates within the plasma-fusion cells where sunlight is created and atomic elements are synthesized. 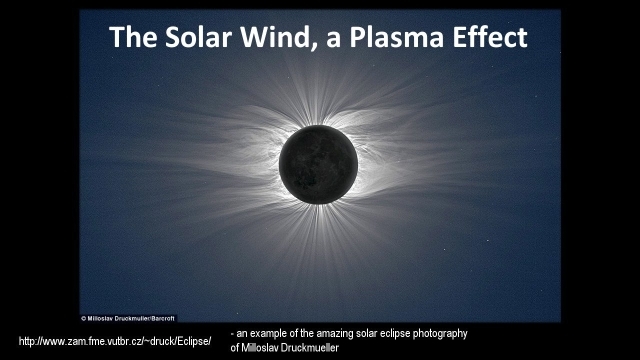 The solar-wind is plasma that escapes from the fusion cells when the inflowing plasma density exceeds the magnetic confinement strength of the primer fields that concentrate the plasma. On the large cosmic scale it is called the Jet Stream. On the solar scale it is called the solar wind. 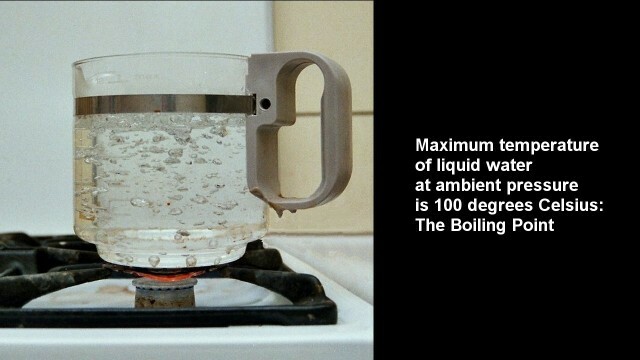 The escaping solar wind can be seen as steam boiling off from a kettle that is extremely heated, from when, when the heat is cut back, less steam is emitted. On the Sun, when the plasma-pressure around it is reduced, the solar wind diminishes accordingly, as less excess plasma exists. 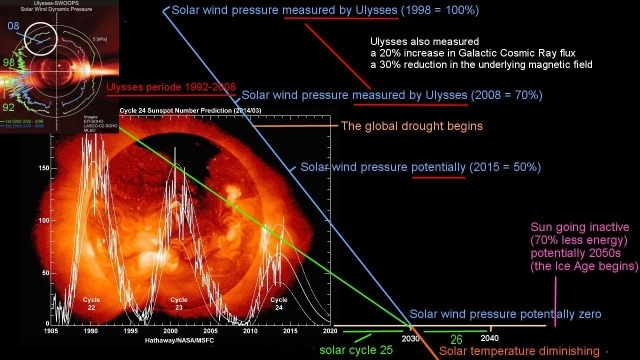 We are presently at a stage where we see the solar wind, the solar steam as it were, diminishing at the amazingly rate of 30% over the span of 10 years. That's huge. 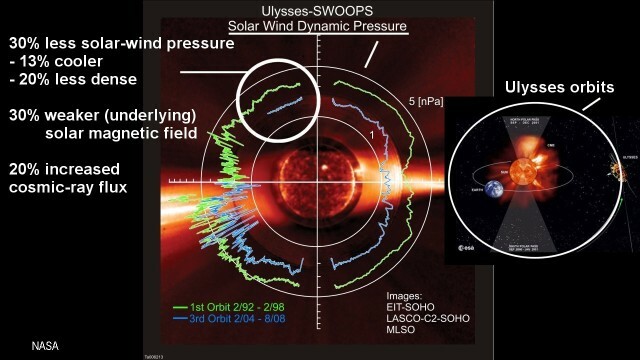 The solar-wind pressure flowing away from the Sun was measured by NASA's Ulysses spacecraft. 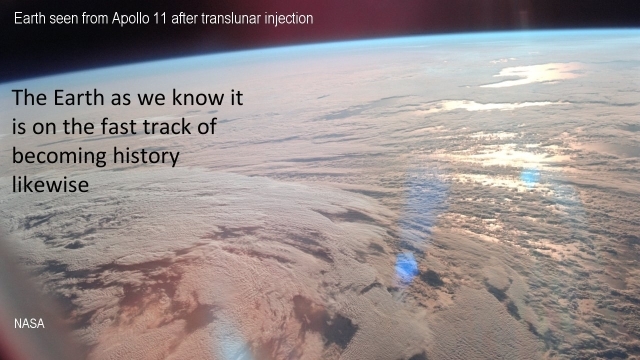 The 30% difference was measured between its first and last orbit around the Sun in its polar orbit, between 1998 and 2008. 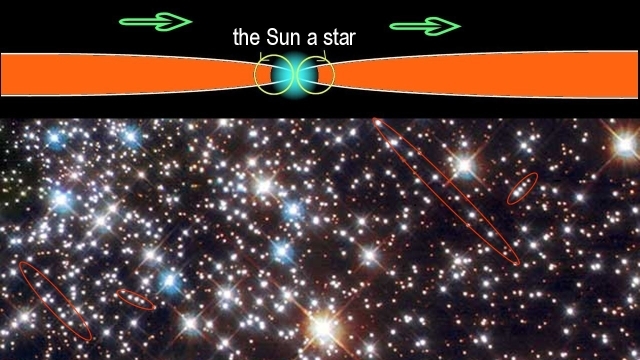 This type of enormous differential in so short a time is only possible for an externally powered Sun. But it is also scary. What it hints at is scary. The measured reduction points to the long-expected Ice Age transition to be happening in the 2050s, according to linear forward-projection of the measurements provided by Ulysses. 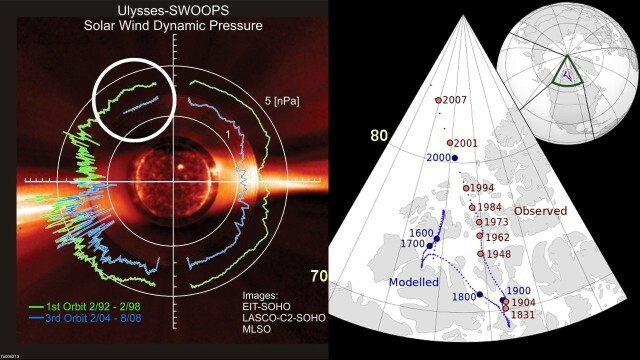 The big change in solar wind pressure is not possible under the hydrogen-Sun theory where the energy flow to the surface is theorized to take a 30-million years path. Such a Sun does not change rapidly. But it is possible for a plasma-Sun to change this fast with plasma inflow fluctuations. That's what we see. As the Ulysses spacecraft has seen first hand, the Sun is changing and is changing rapidly. Also we see the sunspot cycles diminishing at the same fast rate as the change in solar-wind pressure. And we see both happening at the same time. We see the Sun visibly getting weaker on two of its major fronts. We also see the same weakening happening in magnetic pole drift measurements in the North above Canada. If the Earth was orbiting in a magnetically neutral environment, the magnetic pole of the Earth would coincide with the geographic pole, which is the pole of its spin axis, shown in red. 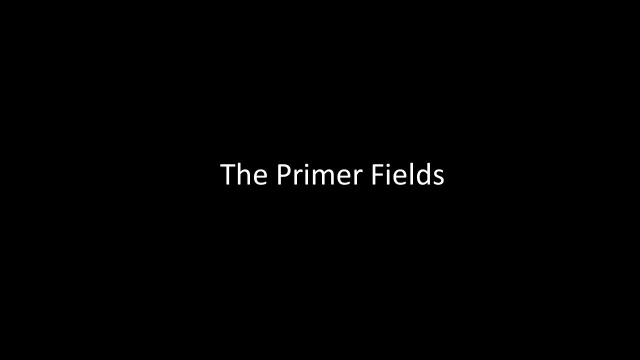 But with this spin axis being tilted by 23 degrees away from the external magnetic field of the Primer Fields, the magnetic pole was historically deflected away from the spin axis by up to 23 degrees, into line with the external magnetic field. Since the external magnetic field is now rapidly weakening, with the Primer Fields getting weaker, together with the weakening Sun, the historic magnetic-pole deflection has weakened accordingly, and dramatically so. What we see here is not a projection of something that may happen in distant time. 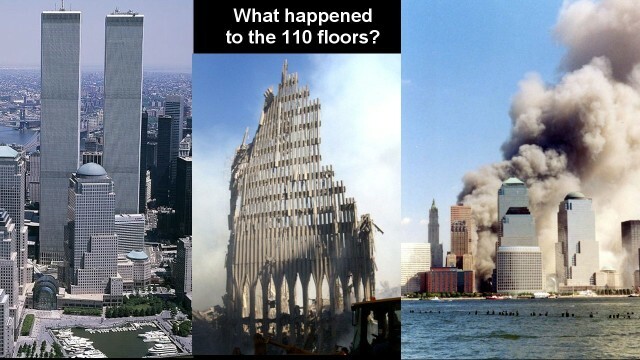 It has already happened, according to on-the-ground measurements. And it is ongoing. 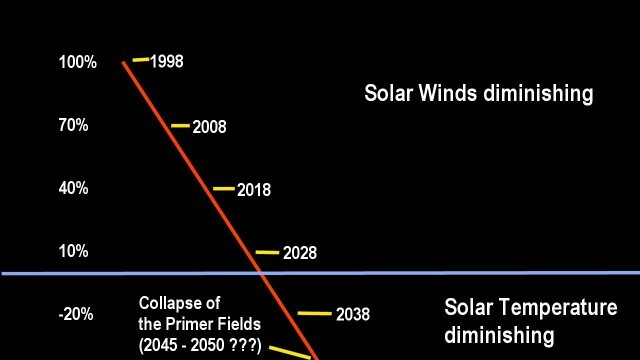 If one projects Ulysses' measurements forward in time, in a linear manner, we can expect the solar wind to essentially cease in the 2030s. After that, further reductions of the plasma inflow into the solar system, will cause the solar energy output itself to begin to diminish, which reduces the plasma flow-rate. still further. 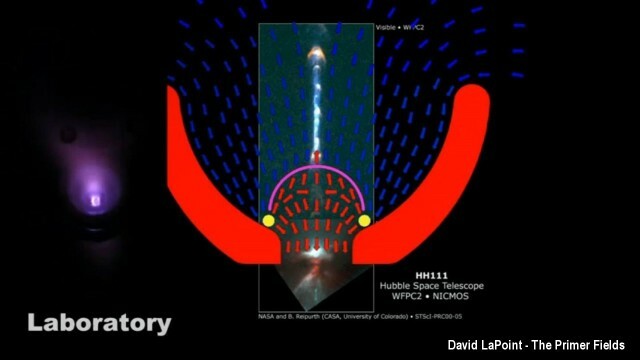 Eventually a threshold level will be reached on this down-slope at which the electromagnetic primer fields, which are created by flowing plasma, are no longer maintained, which then will vanish. This may happen in the 2050's or sooner. 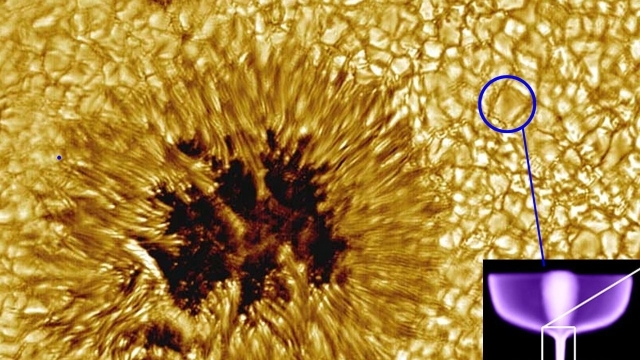 Without the interstellar plasma being concentrated by the primer fields around the Sun, the plasma density around the Sun will be substantially weaker. It will revert to a kind of default state. At this state the a surface temperature of the Sun will drop from the present 5,800 degrees Kelvin to roughly 4,000 degrees. 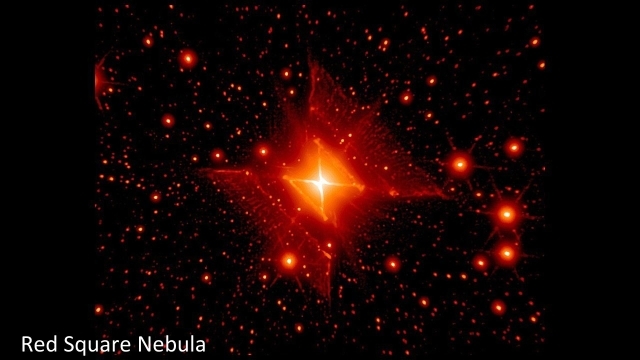 The 4,000 degrees level is widely common throughout the galaxy at the present epoch. 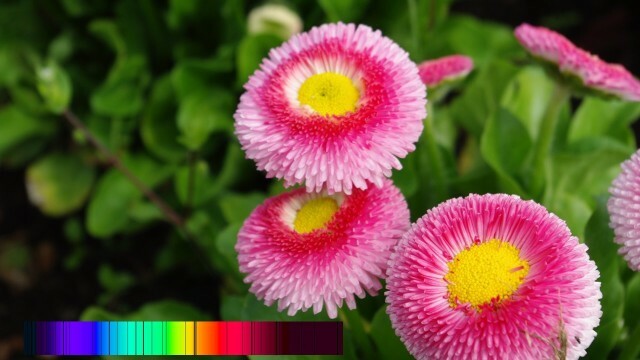 The lower surface temperature corresponds with a 70% lower energy output, and in addition a shift in the light profile towards the red, which affects the light absorption of the green chlorophyll that plants depend on. 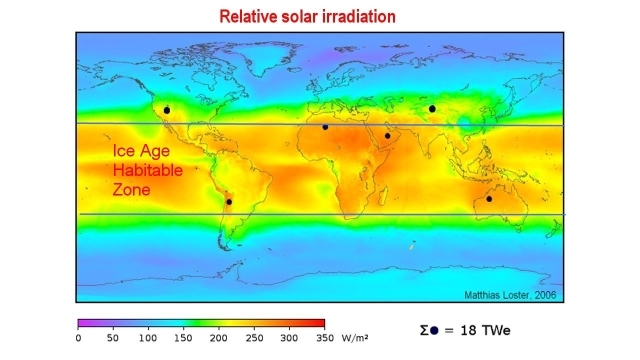 When this far-reaching, dramatic solar-energy reduction begins, an Ice Age begins on Earth. That's what we have to prepare our world for. 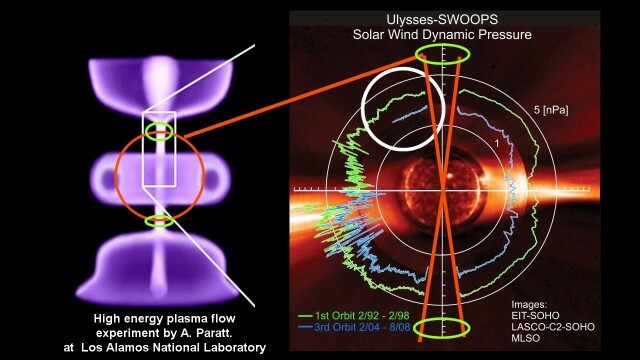 The fact the Sun is currently super-powered by active primer fields that focus concentrated plasma onto the Sun, is strikingly evident in the measurements made by the Ulysses spacecraft. It saw a void over the Sun's poles. The spacecraft had operated in a polar orbit around the Sun at a distance roughly equal to the orbit of Jupiter. 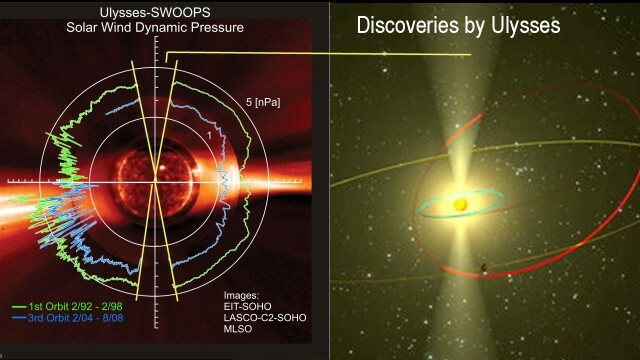 Over each pole of the Sun, during the orbits, the spacecraft's solar-wind flow measurements were sharply disrupted. The disruptions occurred precisely where one would expect the plasma inflow onto the Sun's plasma sphere, to be located. Unfortunately, the Ulysses spacecraft was not equipped to measure the inflow. The principle hadn't been discovered before the mission was created. When the Ice Age begins, the focused inflow will no longer exist. But what is it that causes such large fluctuations by which cosmic scale systems collapse and vanish? All cosmic plasma streams, by being electric in nature, are subject to electric resonance effects. The 100,000-years Ice Age cycles are evidently inherent in the resonance phenomenon in interstellar plasma streams. The shorter resonance cycles for the 1470 years Daansgard Oeschger events, may be inherent in correspondingly smaller plasma structures, such as that of the theorized Oort cloud that encapsulates the solar system up to a large distance. 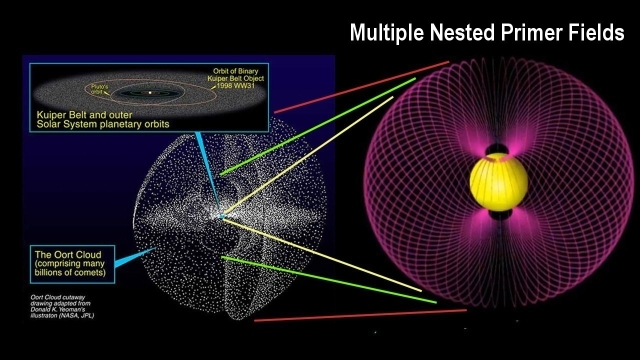 It has been suggested that the solar system is made up of several nested sets of Primer Fields, which may all be located within the theorized Oort Cloud surrounding the solar system. As I said before, the timing suggests that it may have been a Daansgard Oeschger oscillation event that saved our world ship from sinking into the big Ice Age, during the Little Ice Age in the 1600, that we might have been precariously close to it. 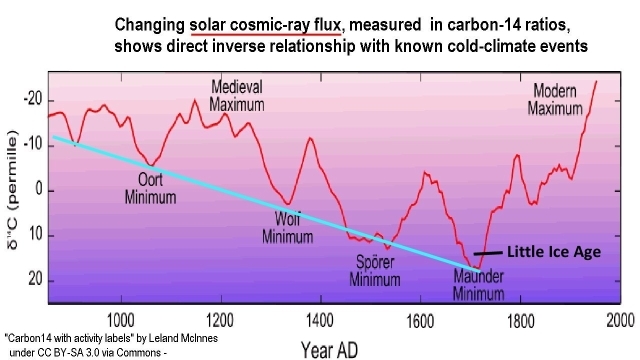 The Carbon-14 measurements tell us that the Sun had been diminishing for a long period leading into the Little Ice Age, right up to a point when almost no sunspots were observed for over 30 years. Then something dramatic had happened at this critical point that gave the Sun a new burst of life, which rescued the world ship from sinking. If the sudden recovery of the Sun was caused by a Daansgard Oeschger oscillation, we cannot expect a repeat this time around, because the next Dansgaard Oeschger event is more than a thousand years distant, too far to rescue the World Ship a second time. It appears that the spectacular breakout from the Little Ice Age, in the 1700s, was an extremely fortunate anomaly that will not likely repeat itself. 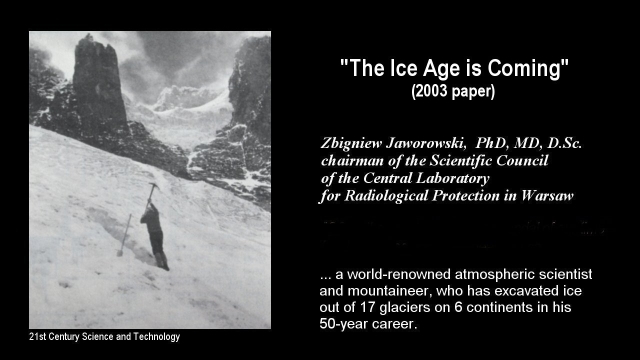 The renowned atmospheric scientist, the late Dr. Zbigniew Jaworowski, one time chairman of the Scientific Council of the Central Laboratory for Radiological Protection in Warsaw and chair of the United Nations Scientific Committee on the Effects of Atomic Radiation for 1981–82, wrote in his 2003 paper, 'The Ice Age is Coming,' commenting on the timing of interglacial warm period, saying that the average duration of such a phase has already been exceeded by 500 years, and that when it ends, the transition will happen in an extremely short time. Dr. Jaworowski speaks from personal observations in these matters, by his long-time involvement in ice excavations from 17 glaciers on 6 continents in his 50-year career. The early ending of the interglacial period that he had expected, would have happened during the Little Ice Age in the 1600s if, a Dangaard Oeshger pulse hadn't revitalized the Sun at that time. 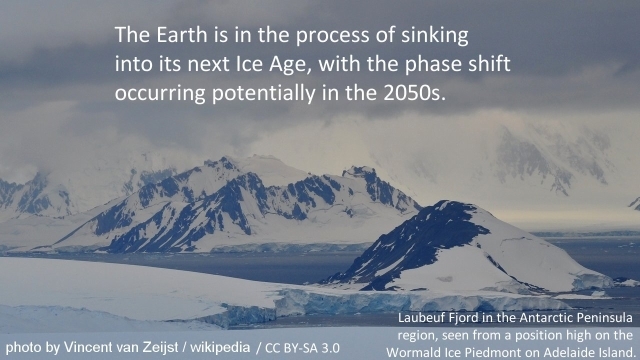 This means that the end of our interglacial period is sure to happen when the revitalizing pulse runs its course, which we see now happening, and see happening fast. 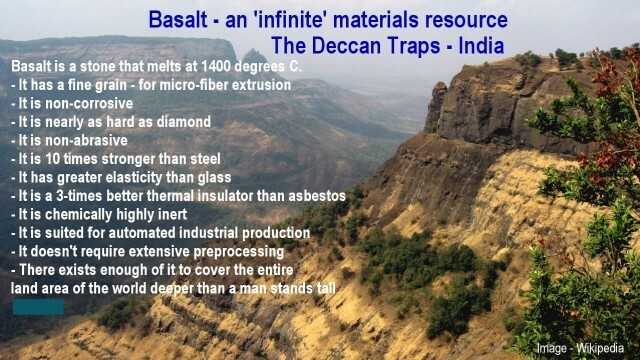 The evidence that lies before us, that the interglacial is ending, is amazingly multifaceted. We see the principle reflected in Carbon-14 measurements. 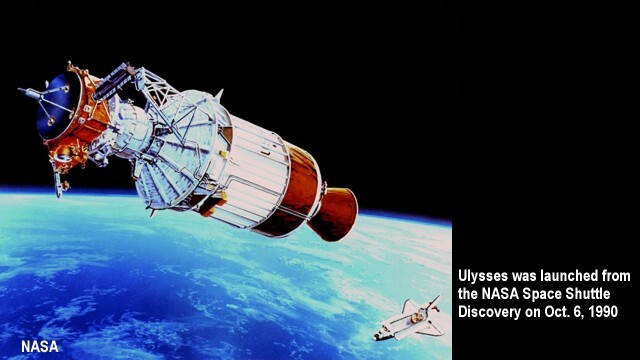 We see the weakening of the Sun measured in space, by the Ulysses satellite that was launched via the space shuttle in 1990. We see sunspot cycles diminishing at the same time in the same ratio. 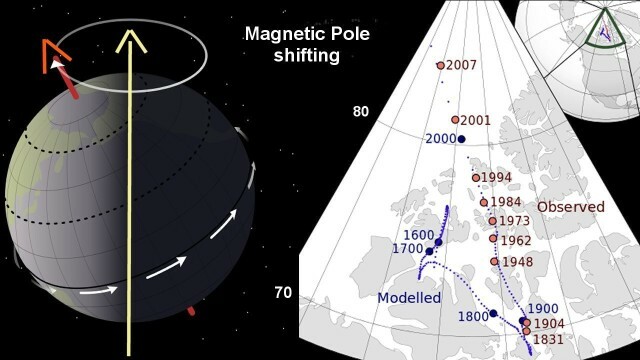 We see the weakening of the solar system also reflected in the magnetic pole drift in the Arctic. 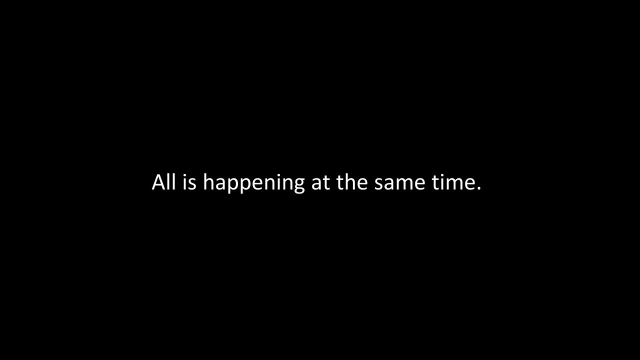 **All is happening at the same time. One can say with certainty that something big is in progress that affects the entire solar system, including the Sun that is a part of it. One can say with reasonable certainty that the Ice Age is coming, and that it is not far off. 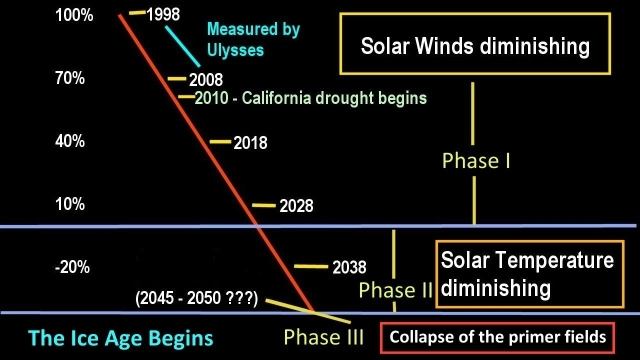 With all the main indicators now fast diminishing, we will see the big phase shift happening soon, most likely in the 2050s, by which the Sun's energy output diminishes by as much as 70%. That's the best estimate that is possible based on the wide range of the currently observed dynamics. And as amazing as this may seem, we can understand what is happening and can recognize that we have the power as human beings to respond to what we know and to to move with our knowledge to change our world. 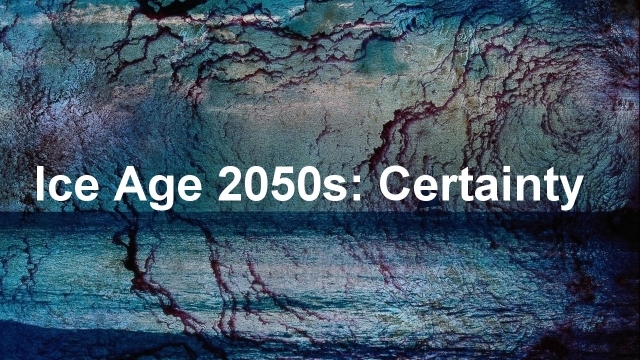 The 2050s estimate leaves us not much time to prepare our world for what is to come, but enough time to get the job done if we get started soon. 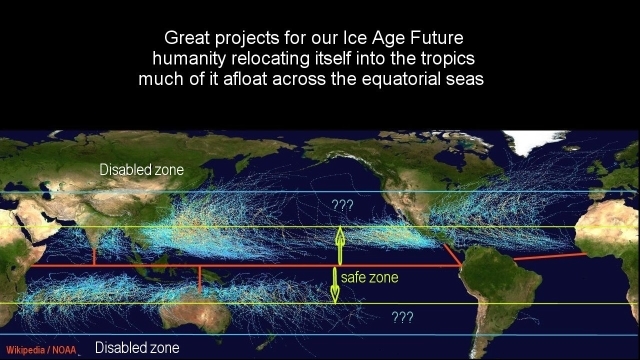 As human beings we have the capability to recognize in the mind what needs to be accomplished before the primer fields collapse and the big Ice Age phase shift happens. If we act as human beings, with the corresponding love foe one-another, we will built the needed infrastructures that assure the continuity of our living on this planet in an Ice Age world with a ten billion world population that we may have in the 2050s, which we may also require to get the job done. 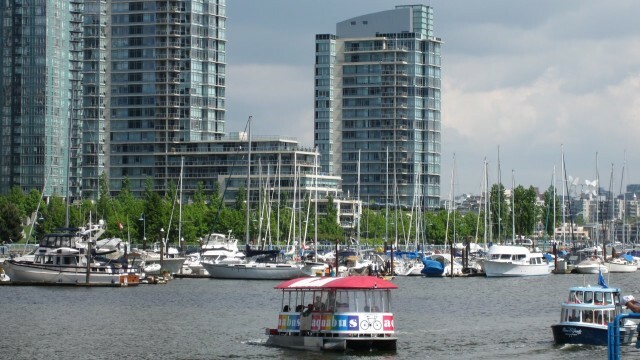 Thus it is reasonable to assume that we will built the 6,000 new cities for a million people each and that we will require to relocate ourselves into the tropics together with our industries and agriculture before the phase shift happens when the regions outside the tropics become uninhabitable. 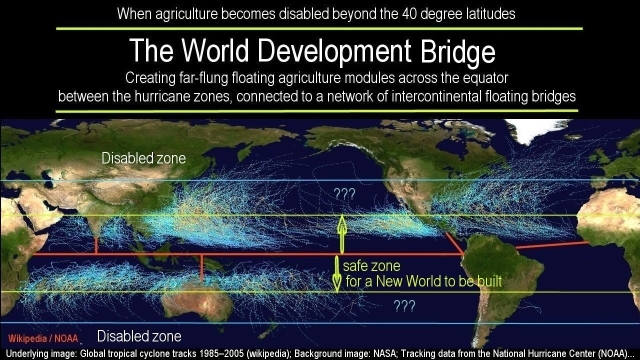 We will in this flow create new agriculture for us with much of it operating in indoors facilities even in the tropics, and much of that located afloat on the equatorial seas, between the hurricane zones, for the lack of large-scale suitable land in the tropics. The task may seem enormous in the currently small-minded world, but with automated high-temperature industrial processes, implemented on the required large scale, the task may be quite easily accomplished. The technologies, energy resources, and even the materials resources, do all presently exist in abundance. So, what would hinder us to get the job done? Should we choose to fulfill the task before us, the power of the economic and cultural renaissance that flows from the fulfillment of such a gigantic project, promises to be far greater than anything that we have ever experienced. It promises to be greater even than what we can likely imagine in our presently small-minded world. Our small-minded world is laced with terror, war, looting, and murdering on the largest-ever imperial scale. Empire is a folly that we may ultimately not survive unless the folly is superseded with something as grand as the Ice Age Challenge now before us. 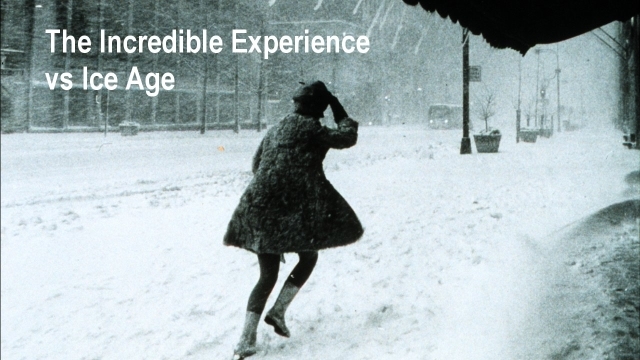 The Ice Age Challenge, if we respond to it, is of a type that inspires a new sense of humanity in us all, that is long overdue. 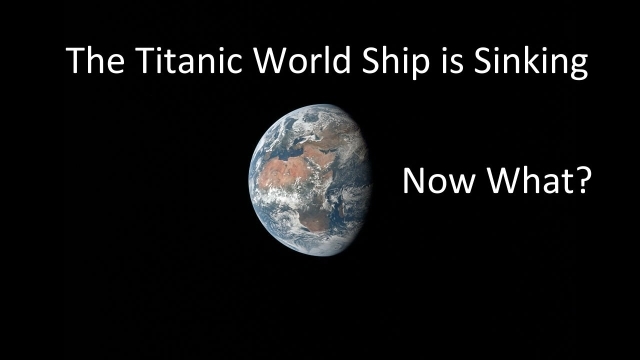 If, on the other hand we should choose to live like animals do, who live for the moment and have no concept of a future, then the future will happen as it must by its dynamics and will overwhelm us all when the Titanic World Ship sinks into a new Ice Age with seven billion people on board. 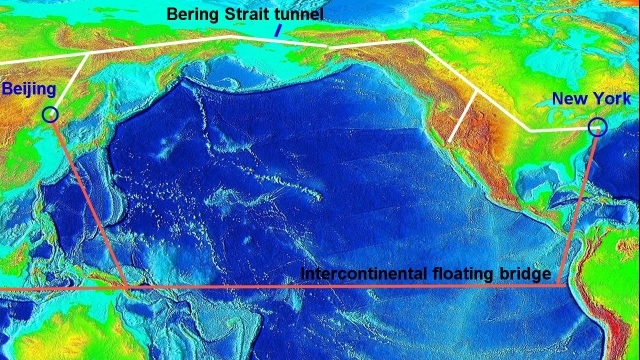 When this happens without technological infrastructures fully built and operational, only a few people will likely survive, even in the tropics, by the primitive means that then remain, such as by living of fish, if there are enough fish remaining. 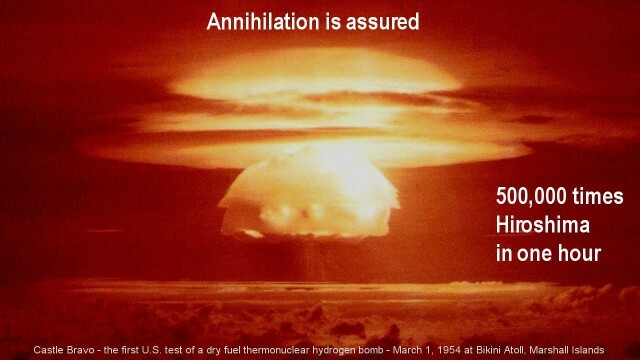 In this case, 90,000 years later, when the next interglacial period begins, the few survivors, if there are any, will repopulate the landscape and start a new civilization, and may come to the same point where we stand today, where the decision must be made to care for one-another on a grand scale by which we are able to continue to exist as a civilization. I would like to think, however, that we will choose to live, in our time, rather than choosing to perish. 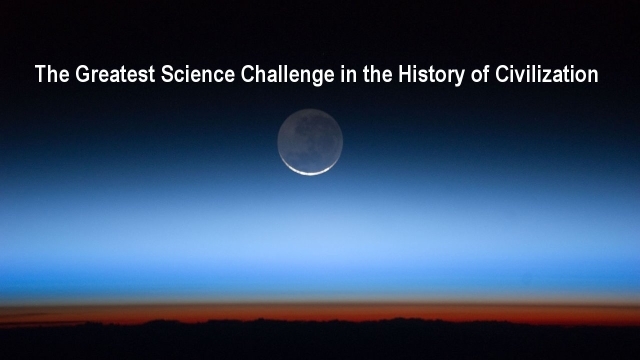 We know what a type of world we will face in the near future, to judge by the mountains of evidence that we have uncovered in space, in ice, in deep-sea sediments, in cosmic observations, and in laboratory experiments. And we know, by this evidence, what we need to do. We know that we need to respond to the knowledge that we have gained. 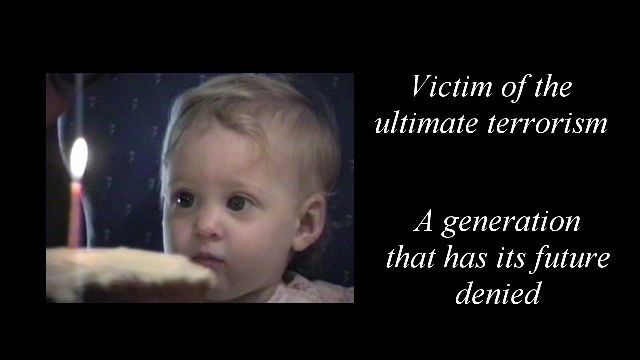 We also know thereby what tragedies we will face if we fail to respond to what we now know. The consequence of failing isn't a pleasant fate to be sure. With all this considered, it is reasonable to assume that we will move ahead and build ourselves the bright new future, the brightest ever imagined that deprives the Ice Age of its sting. Sure, the nay-sayers who cling to the old model for which no real evidence actually exists, are many, who utter their opposition to the plasma-Sun concept in great choruses, driven by many invariable doctrines that are iron-hard as prison fences. Nevertheless, I like to think that truth and reason, and our love for one-another and for our children, will at length be honoured, and that they will prevail in the end and have their day. The stakes are infinitely too high for humanity to accept defeat by self-denial; to lay itself down to die and commit its children to death, without a fight for continued living. The fight is a fight for life indeed, especially for the life of all who expect to be living in the 2050s. That's what we must commit us to, across the world. If we lose this fight all will die without exceptions, when the Ice Age begins, when the world ship sinks deep into a new Ice Age without life-boats having been prepared for all humanity. 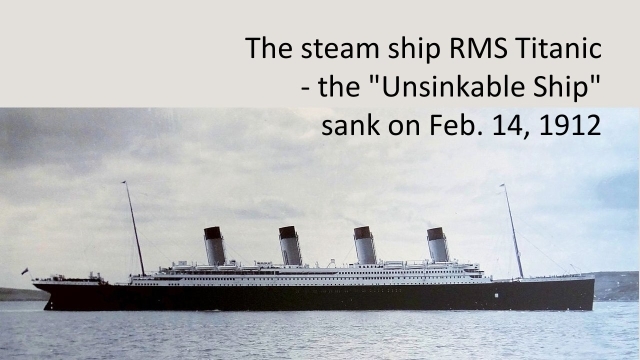 If on the other hand, by some miracle, the sinking of the World Ship may be held off one more time, like it had happened in the 1600s, and we had created a brand new high-level civilization for us in the tropics in preparation for it, nothing would be lost in that case. We would simply end up with a vastly richer world. 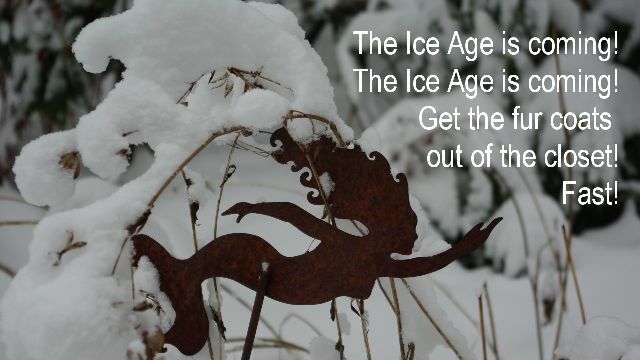 Responding to the Ice Age is a win-win proposition no matter what will happen. The outcome will be like heaven, in comparison with the near certain death humanity will suffer should it gamble with its existence and fail. Thus, I think we will chose the richer option, which cannot fail no matter what.